My love of flowers goes beyond the ones that grow in my gardens during the warmer months. I even enjoy making flowers by hand out of any material. 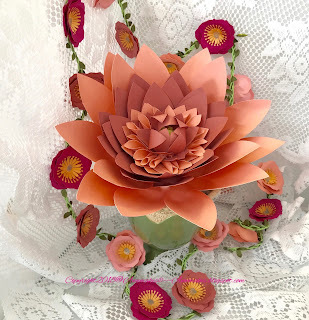 Today I have a great Book to tell you about that is all about making Paper Flowers! 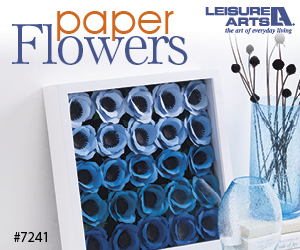 The book: Paper Flowers 10 Do-It-Yourself blossoms to brighten your world! by Jennifer Maker, From Leisure Arts®. Below are some of the projects I was inspired by the book to make. I was delighted when Leisure Arts® asked me to review this book. 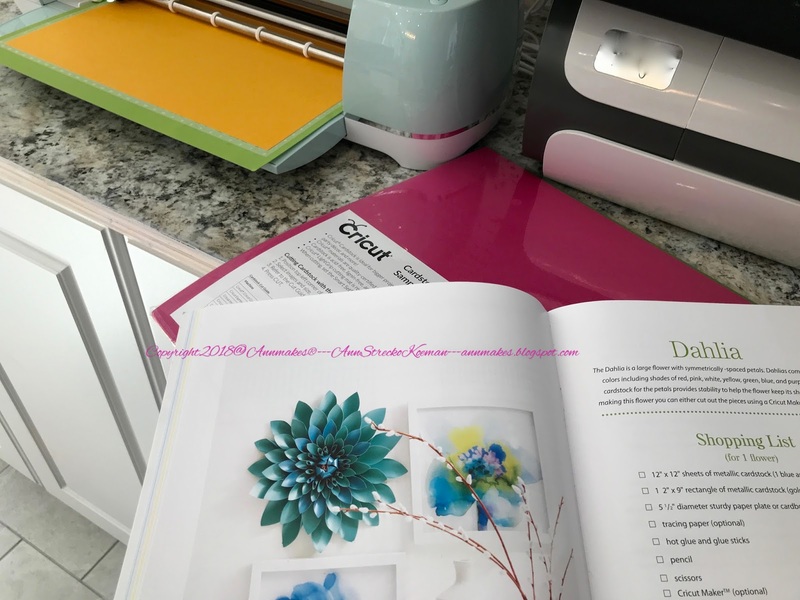 One of the reasons being that there are projects with SVG downloadable files to make paper flowers using the Cricut Maker! Full disclosure, to complete the arrangement above I used my Cricut Explore Air™2. Following the instructions in the Paper Flowers Book by Jennifer Maker (Leisure Arts®), I downloaded the SVG Files onto my computer. 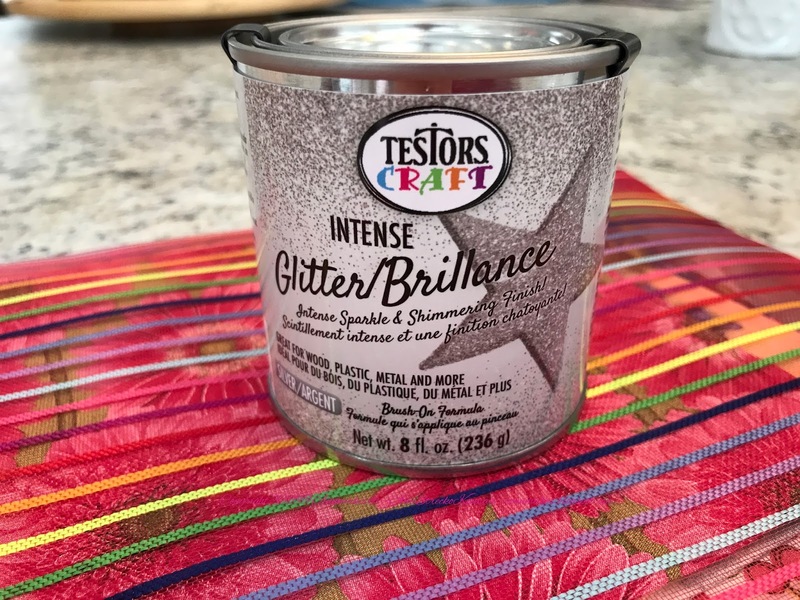 After which I uploaded them into My Uploads in the Cricut Design Space™. 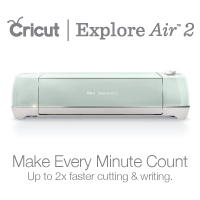 Using the Cricut Explore Air™2 proved to be such a time saver! I chose several different colors of Cricut® Cardstock to make the smaller (Anemone) flowers and cut all the pieces out. Once all the pieces were cut I assembled each flower as instructed in the book. I chose not to include the foliage pieces. To add some shimmer to each flower, I painted the centres with the Testors Craft Intense Glitter Paint in Silver. Finally, I glued each of the Anemone Paper Flowers onto a trim I had in my stash. To make the larger bloom (Dahlia) I chose Cricut® Cardstock in shades of pink. 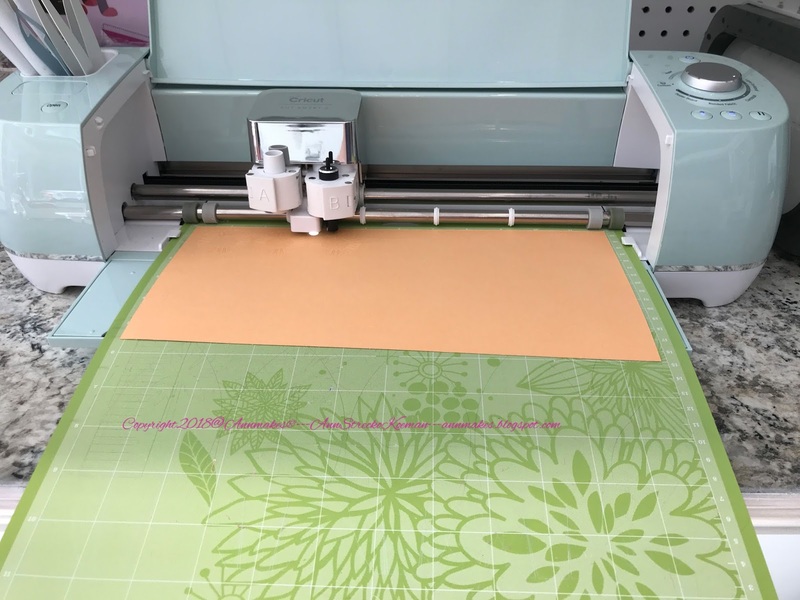 Once again I chose to use the SVG downloadable file to cut all the pieces using the Cricut Explore Air™2. I used another piece of thick cardstock from my stash to cut out a large circle as the base of the Dahlia. 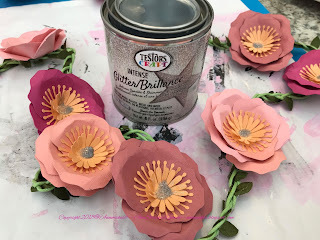 Using a Hot Glue gun I built the Large Flower following the instructions in Paper Flowers Book by Jennifer Maker (Leisure Arts®).